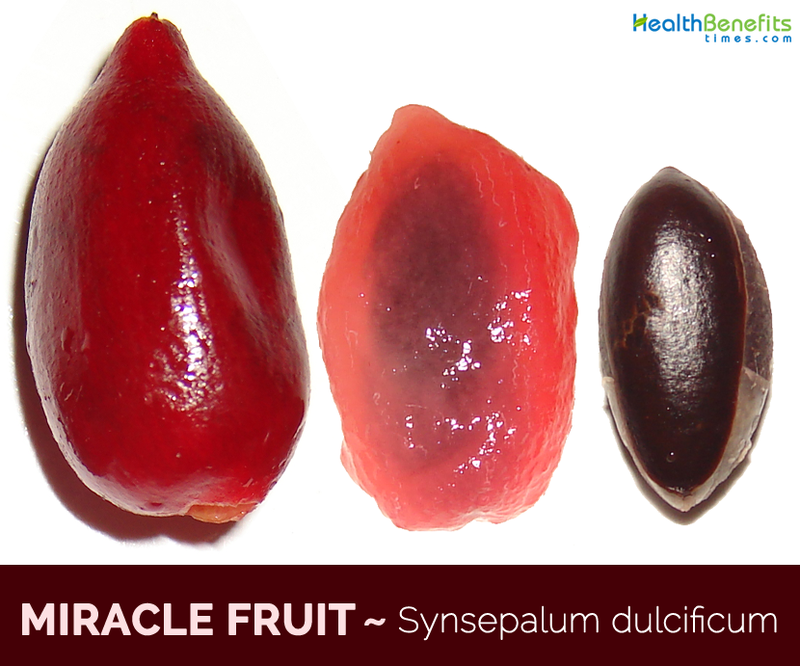 Miracle fruits are botanically classified as Sysepalum ducificum and a member of the Sapotaceae family and is native to tropical west and west central Africa. Other names for these berries include Magic Berry, Miracle Berry, Miraculous Berry and Sweet Berry. 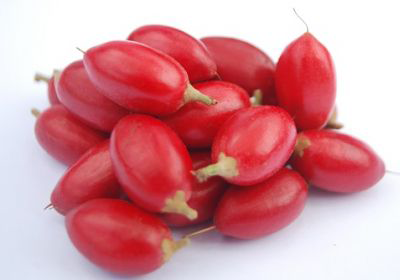 Miracle berries are tasteless, but they have a sweet effect on sour foods. Limes, lemons, and even vinegar, taste sweet if they are eaten after a Miracle berry. This sensation occurs, because an active glycoprotein molecule called, miraculin, attaches to the taste buds and alters the sweet receptors on the tongue and changes sour flavors to sweet flavors. This flavor alteration can last from five to thirty minutes. 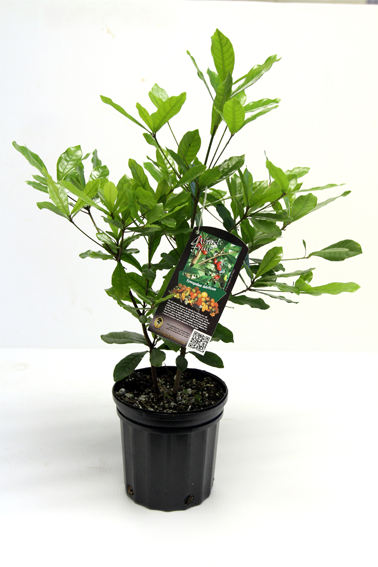 Miracle Fruit is a bushy, evergreen shrub, 1.8 and 4.5 meters (6 to 15 feet) tall. It is normally found growing in warm to hot, wet to humid environment free from frost. The plant prefers full sun but thrives best under partial shade. It grows best in well-drained, acidic soil. It is intolerant of alkaline conditions and water-logging. 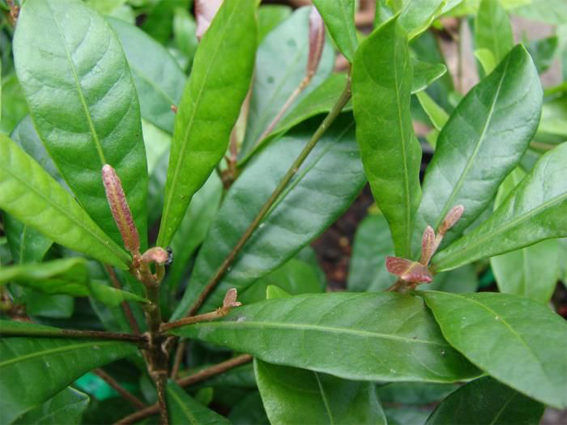 Leaves are normally alternate, clustered at the branch tip, on short petioles; lamina 5–15 cm long, 2–4 cm wide, obovate-lanceolate to broadly lanceolate, bluntly pointed at apex, tapering towards the base, glossy green, with eight pairs of lateral veins. Flowers are bisexual, white, small, solitary or in small clusters of 2–4 on slender pedicels in leaf axils. Calyx is five-lobed, 5 mm long, ribbed with triangular lobes; corolla as long as calyx, white, tubular, 5-parted. Small, 6–7.5 mm, with 5 mm long, ribbed 5-lobed calyx 4-5 lobed, white. 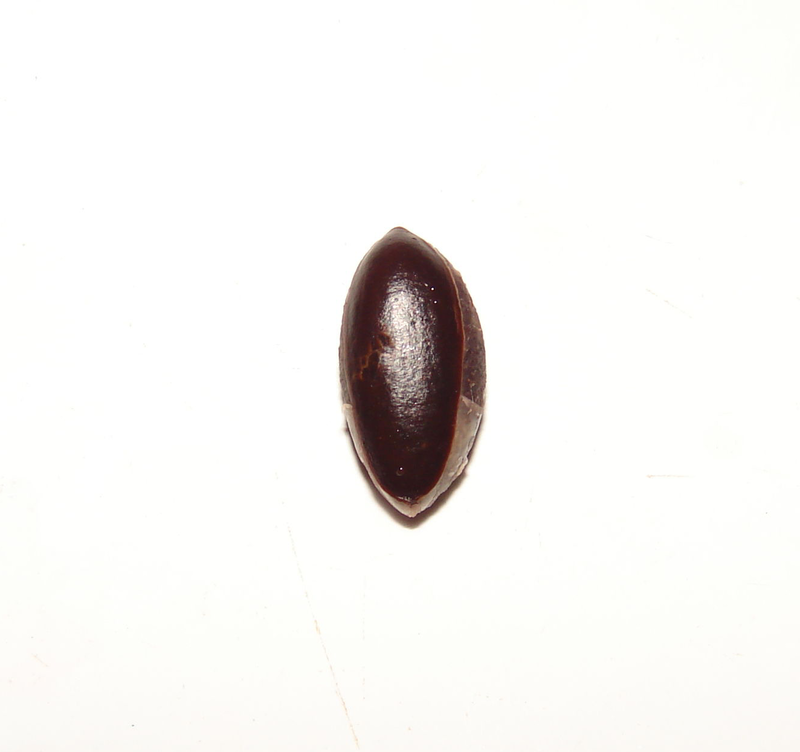 Miracle fruit is an ovoid to oblong berry, 2–2.5 cm long and 1 cm wide, finely pubescent, with a persistent protruding style. 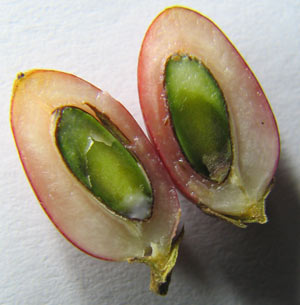 They are normally green while young turning to bright red when ripe and contain a single dark brown ellipsoid seed enclosed by the white fleshy translucent, insipid pulp. Miracle berry has mildly sweet flavor and is bland in taste. Although Miracle berries are tasteless, this fresh fruit can trigger citrus foods like limes and lemons to taste sweet. It consists of glycoprotein particles known as “miraculin”. Whenever the fleshy part of the fruit is consumed, its miraculin adheres towards the tongue’s taste buds, which creates taste-modifying results. 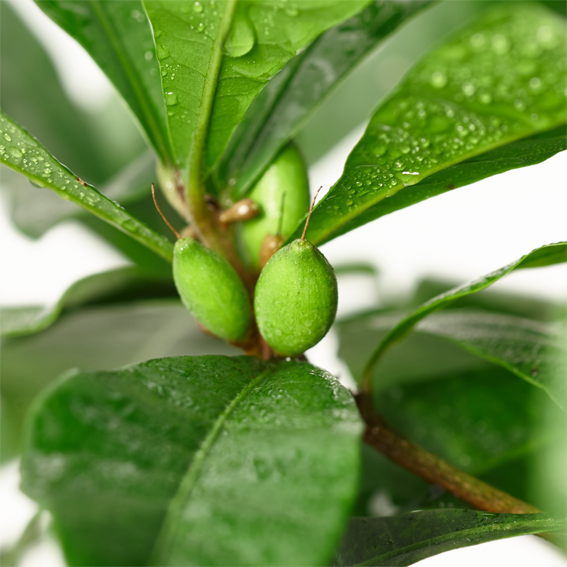 The miracle fruit is an exotic plant that not known to many but provides great health benefits. It is considered to have originated from tropical west and west central Africa. It is irregularly grown from Ghana to Nigeria, with experimental plantations in tropical America. It has been introduced into many Southeast Asian countries, Australia and the USA. Due to its unique taste-modifying results it is now grown throughout the world. Diabetes is described as a high concentration of blood sugar that can cause serious complications like damage to the eyes, kidney health, cardiovascular and nervous systems. Glucosidase is an important carbohydrate digestion enzyme that has been considered as a therapeutic approach to adjust postprandial hyperglycaemia. Several researches have concentrated on seeking effective and safe -glucosidase inhibitors from natural products to develop functional foods to combat diabetes. Miracle Fruits have 1 calorie each, 0% fat, and thus are excellent natural weight-loss assistance. Trick your sweet tooth by consuming a miracle berry just before sugar-free deserts. Consume a strawberry, lemon, or even lime rather than a little bit of candy. Make fairly sweet homemade desserts just like rhubarb pie, strawberry shortcake, lemon meringue, and also key lime pie without making use of sugar or even artificial sweeteners. Omit the oil and also season your salad with plain balsamic vinegar for the remarkably tasty dressing. Sweeten your tea along with lemon or even orange juice rather than sugar. Mail us your personal tricks and tips! Few medicines taste quite terrible, remember when you were a young child your mother and father tried to allow you to have a spoonful of medication whenever you experienced a bad cough and also you didn’t wish to take it since you knew it tasted awful – well thanks for the spectacular taste altering miracle berry capsules this may be a thing of history. It can be used for “sweetening” palm wine, sour fruits and other drinks or food. It is not a sweetener perse but has been used to sweeten bitter medicines. Fruit pulp is used to sweeten palm wine in tropical West Africa where this species originates. It is also used to improve the flavor of soured cornbread. In its native range, Africans sometimes use the fruits to improve the taste of stale food. Fruits are being investigated as a possible source for a natural food sweetener. It was used to improve the flavor of soured cornbread. Miracle fruit is popular among patients with diabetes and dieters in Japan. The plant is planted as a garden plant. Limes, lemons, and even vinegar, taste completely transformed into sugary treats and fruit juice. Fruit can make sour and bitter foods taste sweet – and the sensation lasts for up to two hours after eating. A couple of the most typical miracle fruits both originate from West Africa. 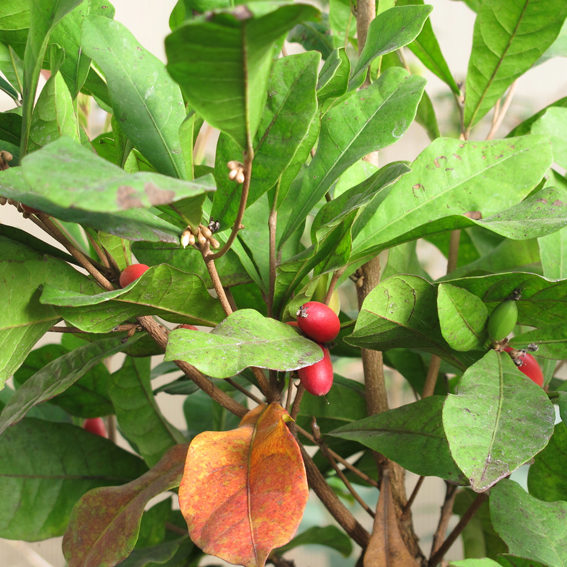 Synsepalum dulcificum and also Thaumatococcus daniellii, both from the general region of south West Africa, particularly in the Ivory Coast, Sierra Leone and Ghana. These two plants have already been regarded as miracle fruit since their utilize by Europeans colonizing Africa within the 1720s. 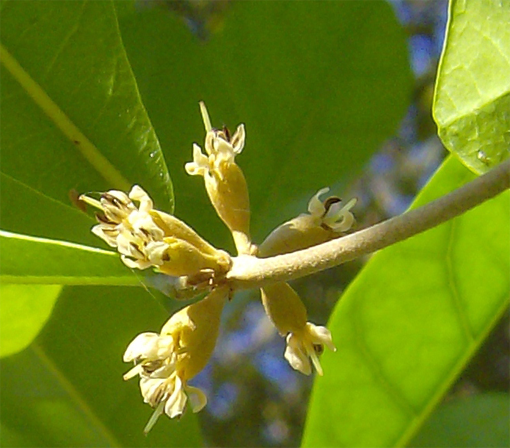 In India, there are one miracle fruit varieties known as Gymnema sylvestre. In India, the miracle fruit typically has been used to deal with an types of illnesses and also health problems just like urinary tract infections. Perhaps, across India’s history, the miracle fruit helped individuals who grew to become sick from high-sugar diets eat much healthier foods just like vegetables. Doctors will give the plant to individuals, and after they consumed the fruit, they might start consuming healthier and also high-nutritious foods to restore their own health. 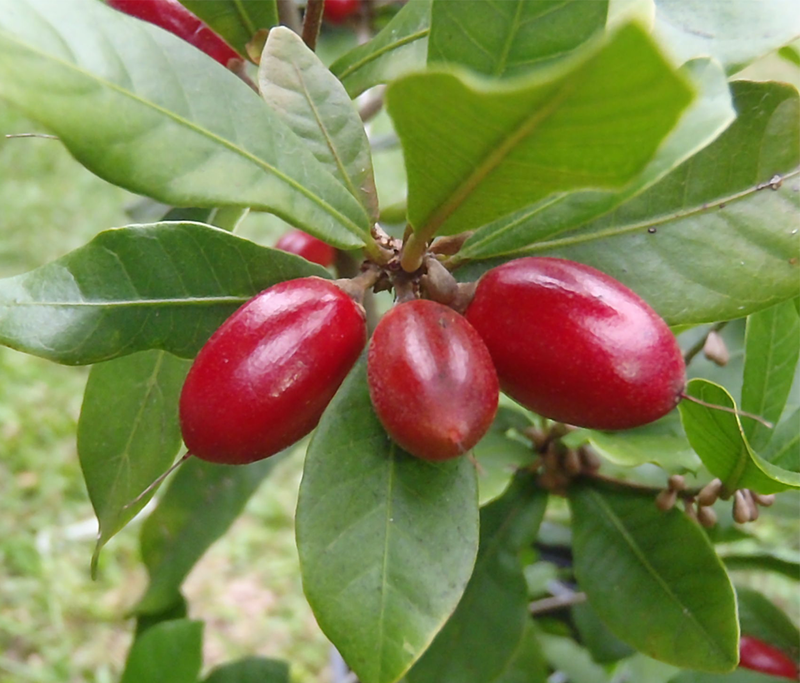 Miracle fruit is really a berry which is indigenous to West Africa. The title originates from its capability to change your taste buds. As soon as you consume a miracle fruit, all you consume afterward is significantly more gratifying. As an example, you may consume a lemon just like an orange and also hot sauce as though it is moderate barbecue sauce. Like every other berry, you may effectively preserve and also store miracle fruit for very long time periods. Pour the miracle berries in a huge strainer, and put the strainer beneath cool, flowing water for thirty seconds. Allow it to sit till the excessive water drips from the base. Spread the berries equally on the baking sheet. It is advisable to utilize a baking sheet with higher sides to prevent spillover. Place the baking sheet within the freezer, straight underneath the blower, and allow it to sit overnight. Put the frozen berries in Ziploc bags. Write the date around the bag using a marker. Place the bags in the freezer. Make use of the fruit within just 6 months. The main side-effect of miracle berries are definitely the major reason individuals get out of their way to consume them – they create everything eaten flavor sweet for many hours. The active component within the Miracle Berry, miraculin, is really a protein which usually adheres towards the taste buds within the mouth, momentarily modifying their function. It doesn’t alter the qualities of the food items, yet impacts the way the taste buds respond to these foods. Researchers do not specifically know the science behind this, however they do know for sure that miraculin’s effect changes the body’s natural reaction to send out signals towards the brain showing whenever a food is bitter, and rather sends signals showing that it’s fairly sweet. 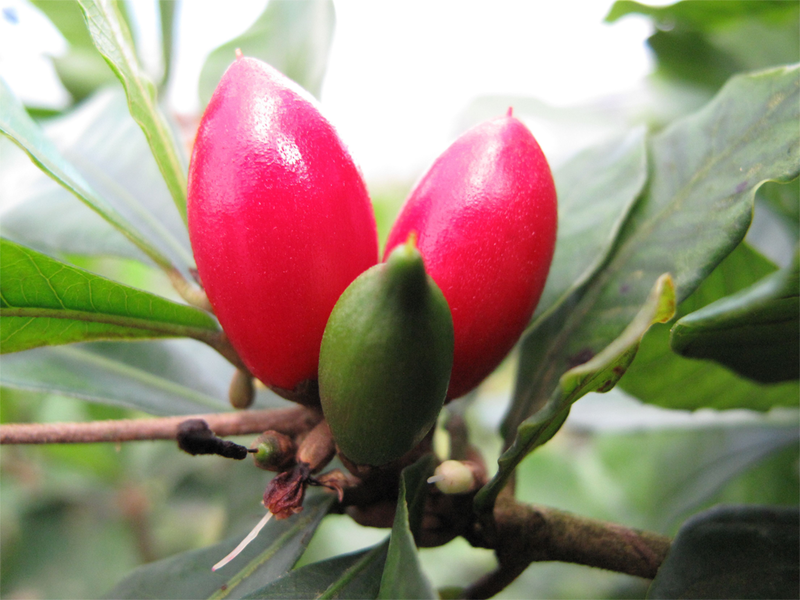 Synsepalum dulcificum is a West African plant that produces a red berry commonly referred to as miracle fruit. The berry has been used as a food sweetener and some cancer patients also use it to improve taste changes caused by chemotherapy. This taste-modifying sensation is due to a glycoprotein, fittingly named miraculin, found in the pulp of the miracle berry. Chewing a miracle berry coats the tongue with miraculin. The combination of an acidic/sour food or drink of less than a pH of 7 along with miraculin activates the sweet taste receptors for an approximate period of thirty minutes to two hours and lasting up to three hours in some cases. Native West and West-Central tropical Africa. Common Names Magic berry, Miraculous berry, Flavor berry, Miracle Berry, Miracle Fruit, Sweet Berry. Name in Other Languages Arabic: Alfakihat almaejaza (الفاكهة المعجزة) . Chinese: Bian wei guo (变味果), Bian wei guo (變味果 ), Qi ji guo (奇蹟果), Qi ji shu (奇跡樹 ), Shen mi de (神秘的 ), Shen mi guo (神秘果), Shen qi guo (神奇果). 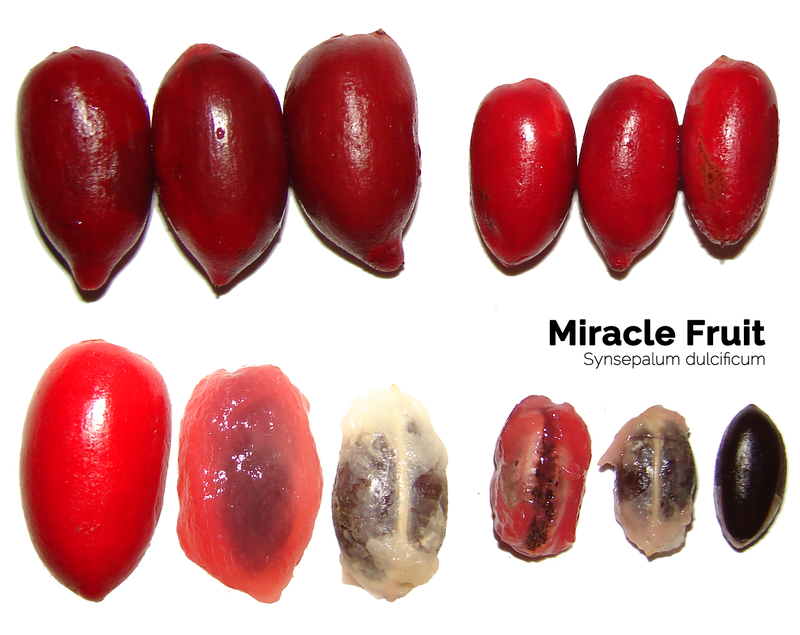 English: Miracle fruit, Miracle berry, Miraculous berry, Sweet berry, Synsepalum wood. Italian: Frutto dei miracoli, Frutto del miracolo, Frutto miracoloso, Miracolina. Japanese: Mirakuru furuutsu (ミラクルフルーツ ). Malay: Buah ajaib, Pokok ajaib. 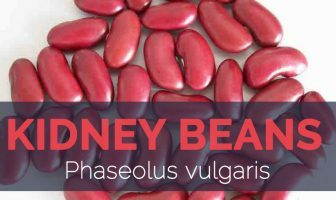 Polish: Cudowny owoc, Synsepal słodki. Portuguese: Fruta de milagro, Fruta milagrosa, Fruto milagro. Russian: Магический фрукт Magicheskij frukt. Slovenian: Čudežne jagode, Jagoda čudež. Spanish: Baya mágica, Fruta maravillosa, Fruta milagrosa. Vietnamese: Cây thần kỳ, Quả thần kỳ. Growing Climate Require a warm to hot, wet to humid environment free from frost. Soil Grows best in well-drained, acidic soil. It is intolerant of alkaline conditions and water-logging. 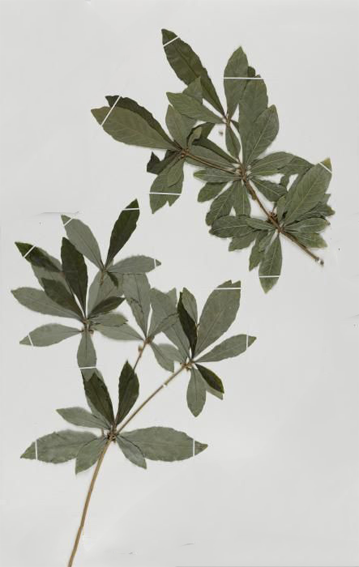 Leaf Alternate, clustered at the branch tip, on short petioles; lamina 5–15 cm long, 2–4 cm wide, obovate-lanceolate to broadly lanceolate, bluntly pointed at apex, tapering towards the base, glossy green, with eight pairs of lateral veins. Flower Bisexual, white, small, solitary or in small clusters of 2–4 on slender pedicels in leaf axils. Calyx is five-lobed, 5 mm long, ribbed with triangular lobes; corolla as long as calyx, white, tubular, 5-parted. Small, 6–7.5 mm, with 5 mm long, ribbed 5-lobed calyx 4-5 lobed, white. Fruit Shape & Size Ovoid to oblong berry, 2–2.5 cm long and 1 cm wide, finely pubescent, with a persistent protruding style. 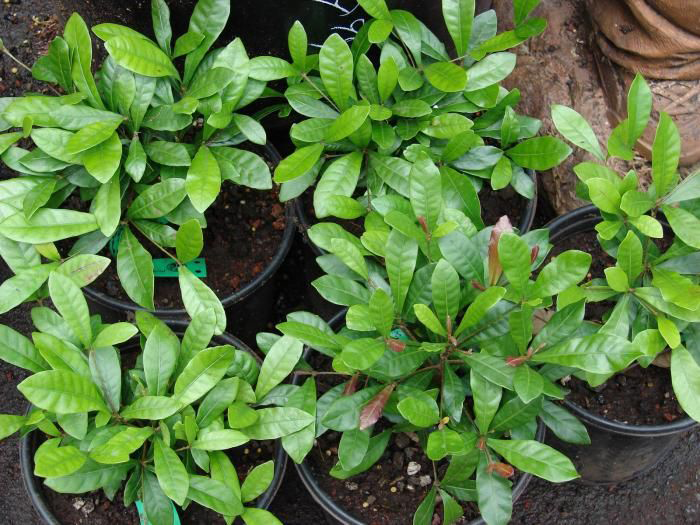 Synsepalum dulcificum (Schum. & Thonn.) Baill.